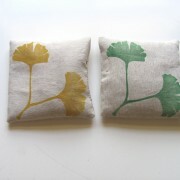 Category: Lavender Sachets. 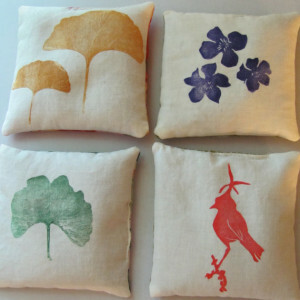 Tags: lavender, linen, wholesale lavender sachet. I love the beauty of the Ginkgo tree and its beautiful leaves that turn from green to gold! 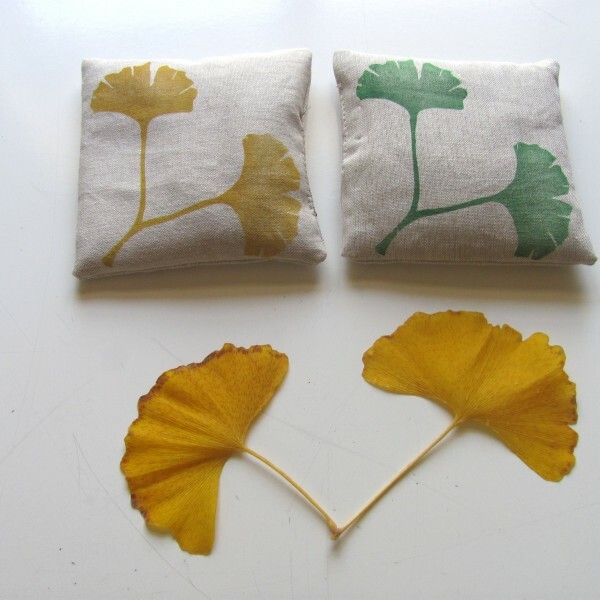 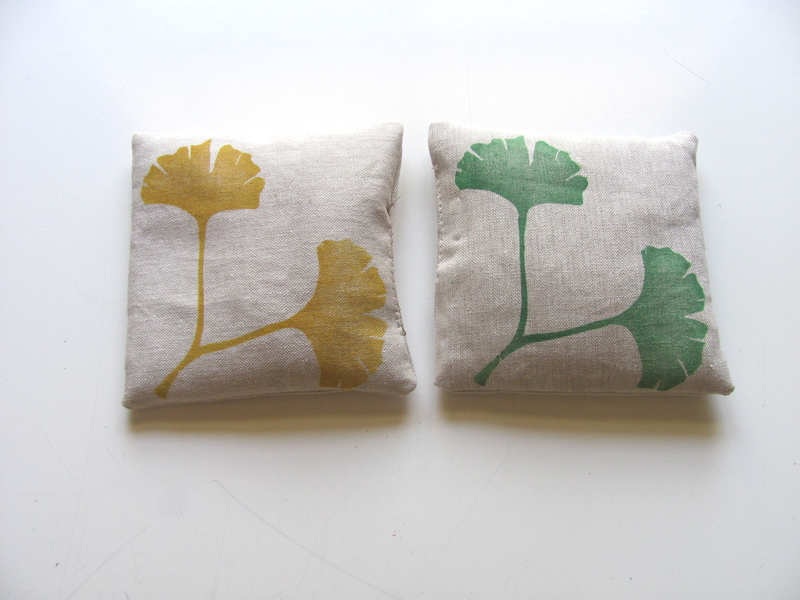 This set of 2 lavender sachets is for one Green ginkgo sachet and one golden yellow Ginkgo sachet. 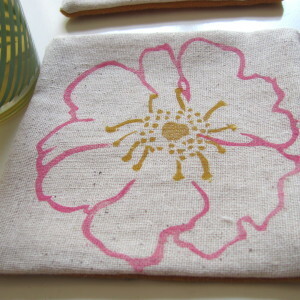 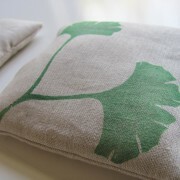 Each sachet is handprinted from a carved linoleum block and printed onto beautiful 100% flax-colored linen. 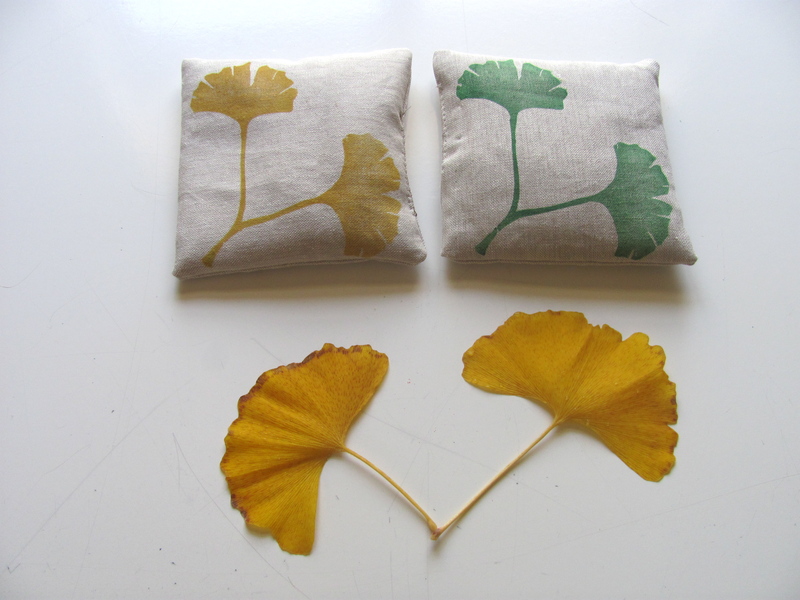 This linen is perfect for showing off the vibrant colors of the Ginkgo leaf! 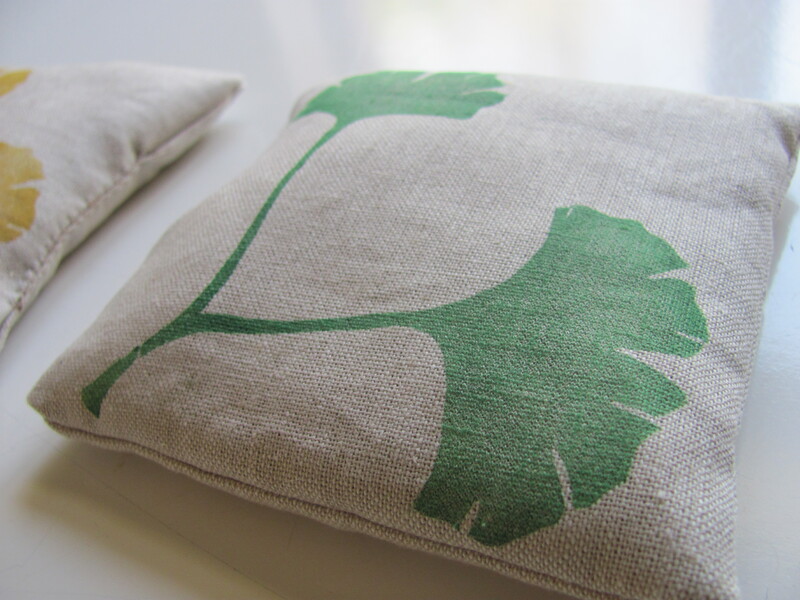 Sachets are filled with a blend of flaxseed and lavender and are great for freshening up clothing drawers or closets.